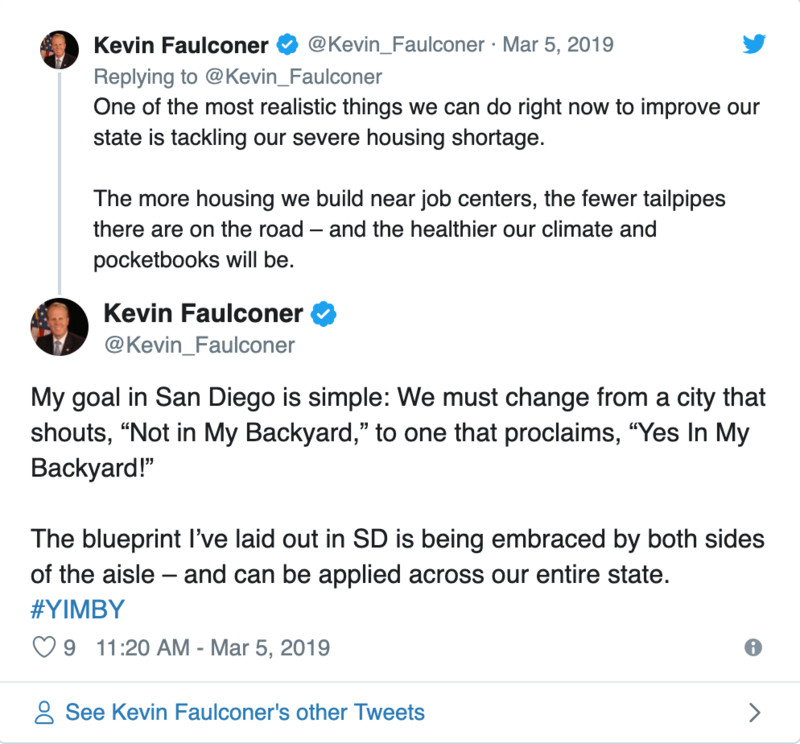 When San Diego’s Republican Mayor Kevin Faulconer—the only GOP leader of a U.S. city of a million or more residents—tweeted in January that he wanted the city to go “From a city of NIMBYs to a city of #YIMBYs!” it was heralded as a progressive stance by many, especially for a city known for sprawl and pristine coastal views. But it also spoke to political reality. With a newly elected city council featuring a 6-3 Democratic supermajority, housing was an obvious issue where Faulconer, traditionally a more moderate member of his party, could find consensus (he’s been more outspoken when it comes fighting climate change). He then proposed eliminating parking and height requirements in a January 15 State of the City speech, one of the more aggressive proposals in the state to fight the housing shortage (and a bit of a turn from his earlier statements as a city councilmember). One of the forces shaping that new political reality is the power flexed by YIMBY Democrats of San Diego, a year-old organization which has shown outsize strength beyond its roughly 160 dues paying members. Many councilmembers courted their support; incoming City Councilmember Georgette Gomez reached out to the group to ask for their support for her 2020 race. 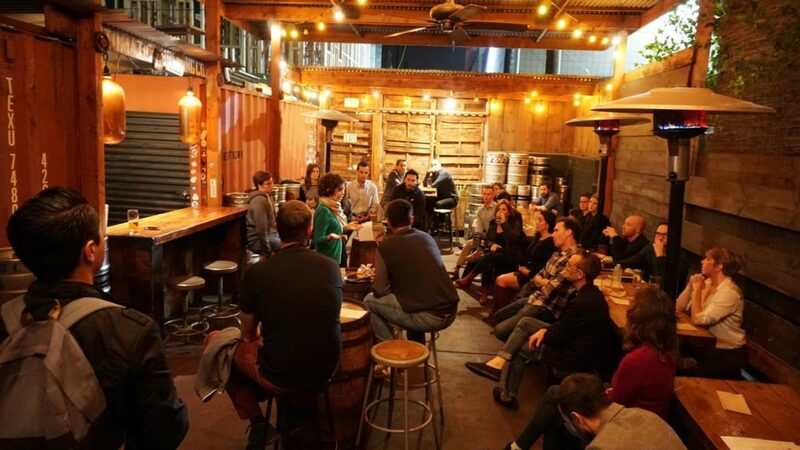 Through a series of endorsements, door-to-door canvassing, and a growing base of supporters, the YIMBY group helped elect a city council that supports its vision. Just yesterday, the city council passed parking reform legislation the group had actively campaigned behind. According to Maya Rosas, an urban planner and cofounder of the group, she wanted to start the group because she felt the local political ecosystem needed a housing-focused, and housing-first voice in the wider debate. “Being a YIMBY means saying yes to more homes of all income types and all neighborhoods, especially where it’s near transit and walkable communities,” Rosas said. The rise of the YIMBY Dems mirrors the rise of similar groups across the country, especially in cities such as San Francisco, where decades of under-production and an influx of high-paying tech jobs has created a severe shortage of affordable housing. 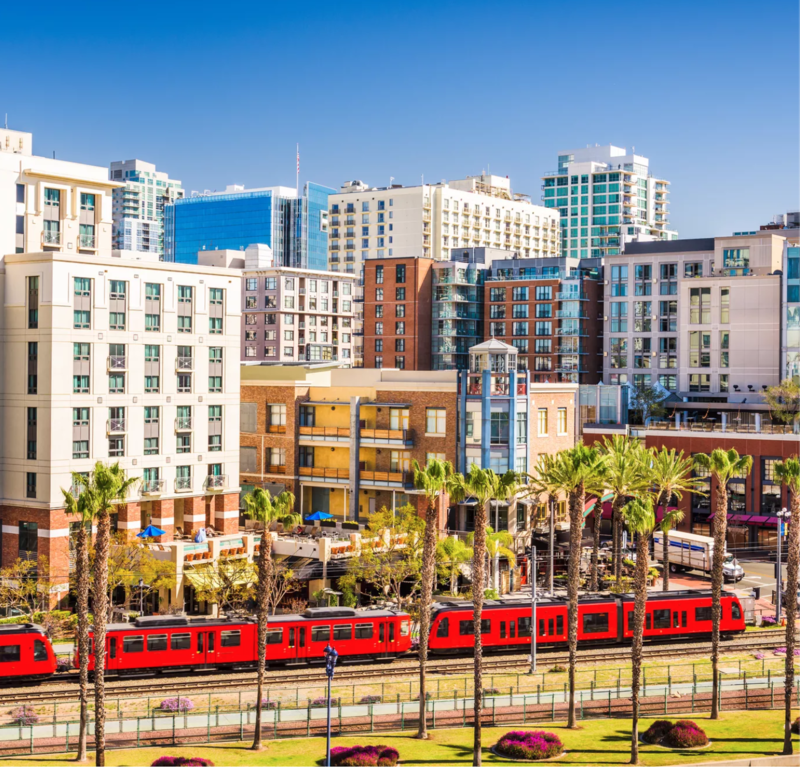 At the state level, Governor Gavin Newsom has called for a “Marshall Plan” for housing production, while State Senator Scott Weiner has proposed numerous bills to spur transit-oriented development statewide. Elsewhere, Minneapolis passed a city-wide upzoning plan, and housing has been a big issue among early Democratic presidential candidates. According to Colin Parent, who leads Circulate SD, a nonprofit promoting improved mobility, people simply crave better housing and transportation options, and they’re both intertwined. But the new YIMBY push isn’t without a backlash. There’s broad consensus that affordability is a problem. But neighborhood groups opposing YIMBY policies say they’re adding too much density too fast without proper transit, inviting severe traffic problems, and making changes to zoning that will end up benefiting developers, who will add high-end, high-priced apartments and condos. And while YIMBYs may be in the spotlight, they’re not the only grassroots group taking action. The idea of NIMBY, or not in my backyard politics, has a rich history, especially in California, where coalitions of well-organized neighborhood groups helped pass Prop 13, a ballot initiative that helped slash property taxes. Whether its antipathy towards density, taller building blocking views, new traffic burdens, or a myriad of other reasons, NIMBY sentiment has been a driving force in the politics of U.S. urban development. The YIMBY Dems represents what many supporters see as both the beginnings of a new coalition, and the sign of an inflection point. 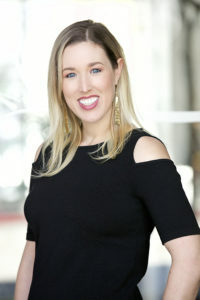 First, progressive groups trying to tackle climate change, lower housing costs, and improve transit, as well as young adults feeling overwhelmed by high rental and home costs, have found that by allying with more traditionally conservative groups such as realtors associations and chambers of commerce, they can all make common cause around increased housing production. And second, as cities such as San Diego continue to grow, they’re reaching inflection points: can they densify, add better transit, and allow more and more people to come and seize opportunity, or will things just get progressively more expensive and require more super-commutes and sprawl? Like other coastal California cities, San Diego has struggled with affordability. 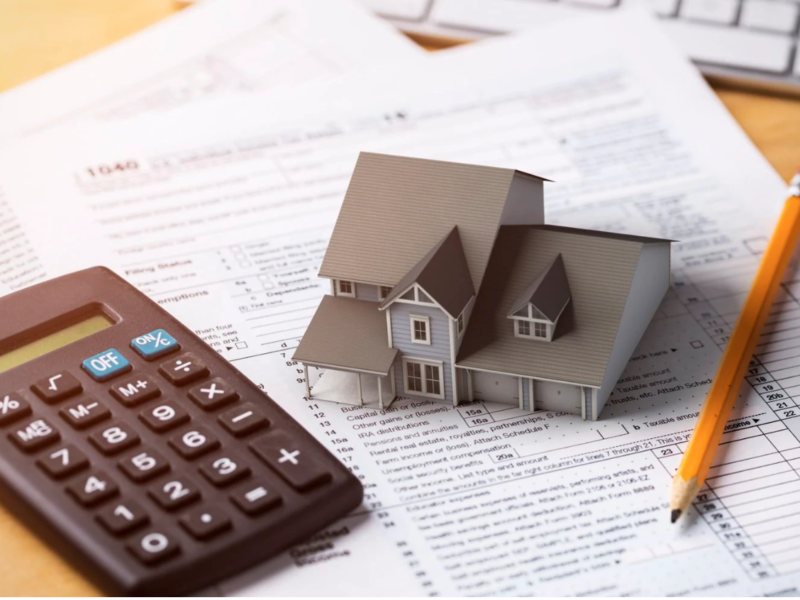 A recent city report broke down the scope of the housing crisis: Rent increased 34 percent between 2013 and 2017, the average household spends more than 30 percent of their income on a housing, and 70 percent of San Diegans can’t afford to buy a home. 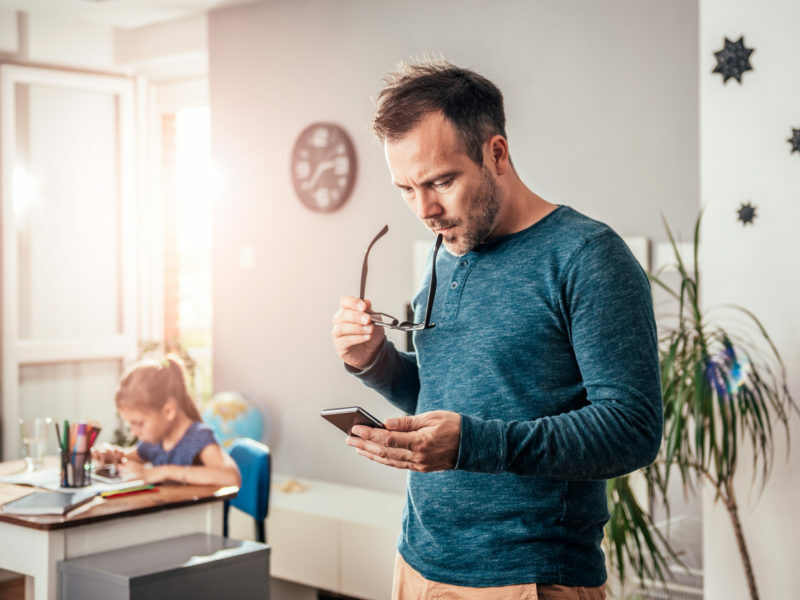 In just the last seven years, according to Zillow data, the median home values in the city have jumped 70 percent to $633,500. Rosas and some friends decided to start YIMBY Dems in January, to become active before the 2018 primaries. The groups’s launch party, held during the California Democratic Convention in February, attracted more than 200 people, including Senator Scott Weiner. Throughout the run-up to the 2018 election, the group backed candidates, created a voter’s guide to the election, and helped get out the vote with door-to-door action and phone banking. Of the 15 candidates and ballot initiatives the YIMBY Dems backed, 10 passed or were elected. YIMBY candidates have also won seats on local planning councils. The mayor had been pro-development before, according to Circulate’s Parent, and had previously pushed a Housing SD plan. But the new post-election climate gave him more allies, and a cause and slogan to align with. It’s also emboldened the YIMBYs. In late January, during a city council hearing for the 6th and Olive project on Banker’s Hill—a 20-story, 225-foot-tall building with affordable housing on site—NIMBY activists complained about the large shadow that would be cast by the new building. A group member, one of the many who attended the meeting, told local leaders that, “we don’t have a shadow crisis, we have a housing crisis.” The project was approved unanimously. But not everyone sees the YIMBY platform as the right path for San Diego. 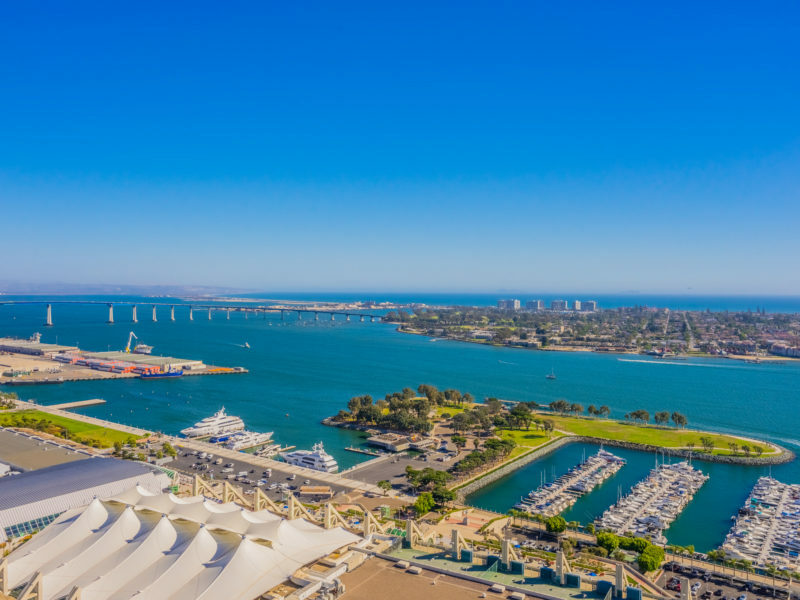 Faulconer’s proposals have created significant backlash among neighborhood groups, especially those who have long pushed against densification proposals. The current battle over redevelopment in Bay Park offers a perfect example. 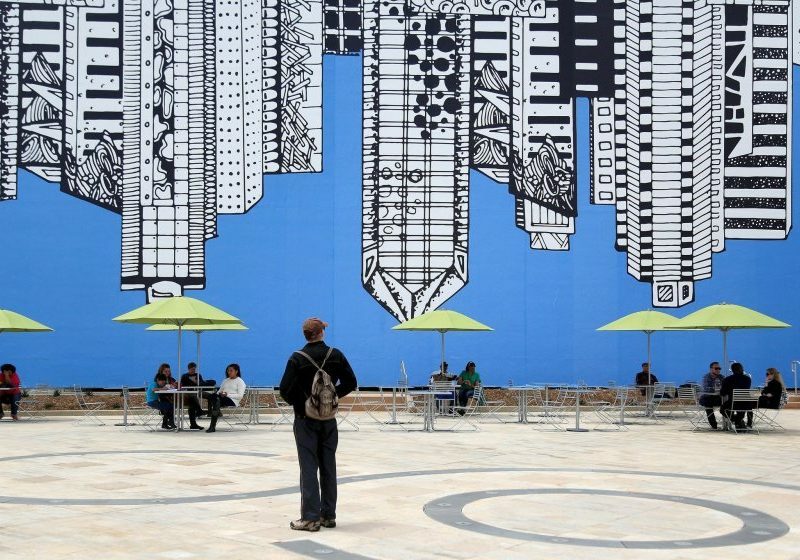 When Faulconer proposed banning height restrictions citywide, it applied to all neighborhoods expect those covered by the California Coastal Commission height restrictions. That leaves a neighborhood like Bay Park, which has ocean views but isn’t under Coastal Commission protection, in a precarious position. According to LaMattery and Raise the Balloon (a group named after a balloon-filled 2014 protest against relaxing height limits), density and development aren’t problematic. It’s density and development without proper planning that’s the real problem. He says the under-consideration Morena Corridor plan, which would allow taller developments around transit stations near Bay Park, ignores the realities of traffic and an inefficient, under-funded transit system on the ground. Neighborhoods will be flooded with expensive condos and apartment buildings, and lots of new residents without enough transit options, LaMattery says. Raise the Balloon plans to continue its protest the plan at an upcoming April 9 community meeting. The tensions boiling over in Bay Park and elsewhere may be a preview of other debates over housing, urbanism, and affordability to come in San Diego. The anti-YIMBY sentiment has also fueled an early outsider entrant into the 2020 race. Cory Briggs, a local environmental lawyer known for challenging downtown development, announced his intentions to run after the mayor’s State of the City speech, decrying that no politicians would stand up to Faulconer. Briggs says the new pro-development politics have come from a new political marriage, with high-end developers, and new transit startups such as Bird and Lime, realizing that if they talk the language of those legitimately advocating for more affordable housing, the advocates will help promote pro-developer policies. Rosas is already looking ahead to 2020 and the next mayoral election, when Faulconer can’t run due to term limits. It’s expected that a Democrat will capture the mayor’s office. If the supermajority of pro-development Dems in city council remains, there’s potential for even more movement towards YIMBY goals. Anyiwo, seeing the change one year can make, is already geared up for the campaign trail. He thinks his team has just gotten started.